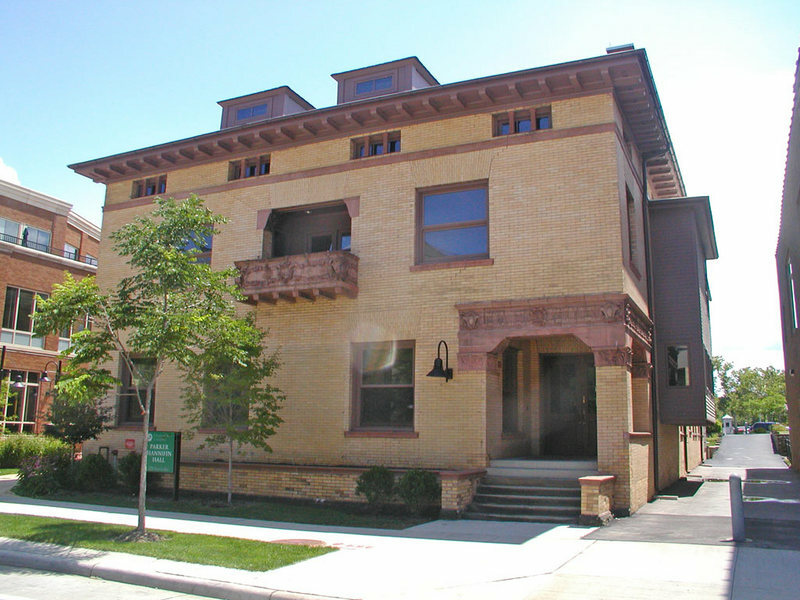 Parker-Hannifin Hall was once a mansion owned by George Howe, Cleveland businessman and Cleveland Police Commissioner. Parker Hannifin Hall is one of the last surviving Millionaires' Row mansions. It is a small reminder of a bygone time when ornate palaces stood on both sides of Euclid Avenue as far as the eye could see. A few years after George Howe died in 1901, the Gage Gallery of Fine Arts made the house a beehive of activity in the fine arts world. George Gage served as the buying agent for many wealthy Clevelanders who later donated art works to the Cleveland Museum of Art. 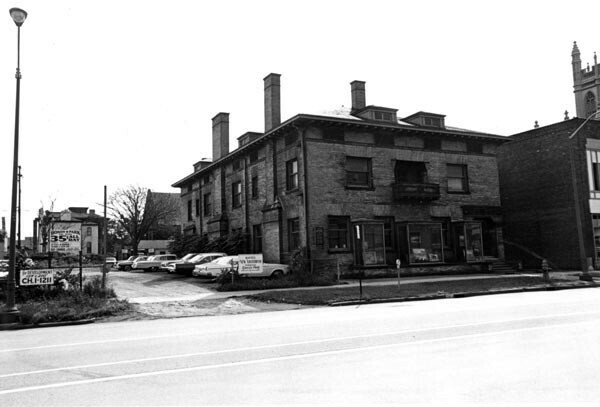 After Gage died, the Vixseboxse Art Gallery spent nearly half a century on the site before moving to Cleveland Heights. The mansion was purchased by Cleveland State University in 1983 and restored with funds donated to the University by private individuals and area corporations. In 2005, the mansion was renamed Parker-Hannifin Hall in recognition of a large donation made to the University by the Parker-Hannifin Corporation. The building now serves as the home of the University's College of Graduate Studies and the Office of Research. Parker-Hannifin Hall: Parker-Hannifin Hall at 2300 Euclid Avenue is the former George Howe Mansion. Howe was a Cleveland businessman and later police commissioner who built this small mansion on the south side of Euclid Avenue in 1894. In the late nineteenth and early twentieth centuries, the stretch of mansions on both sides of Euclid Avenue from East 9th Street to East 55 Street was known as Millionaire's Row. 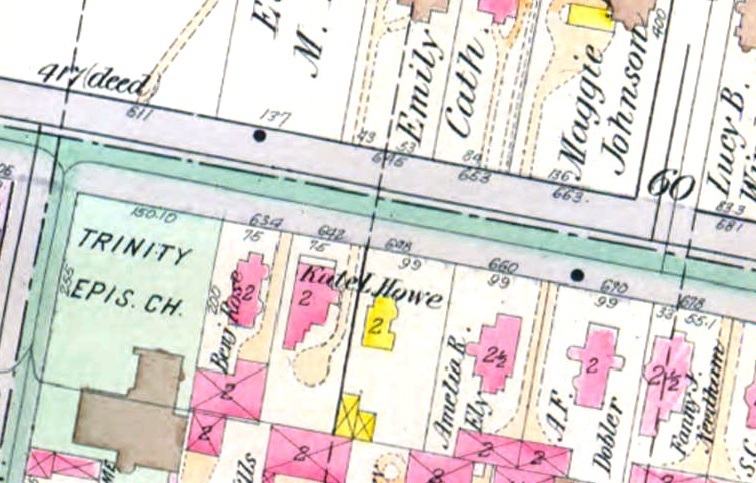 The mansions on the south side of Euclid Avenue were generally smaller and sat on smaller lots than those across the street on the north side of Euclid Avenue. 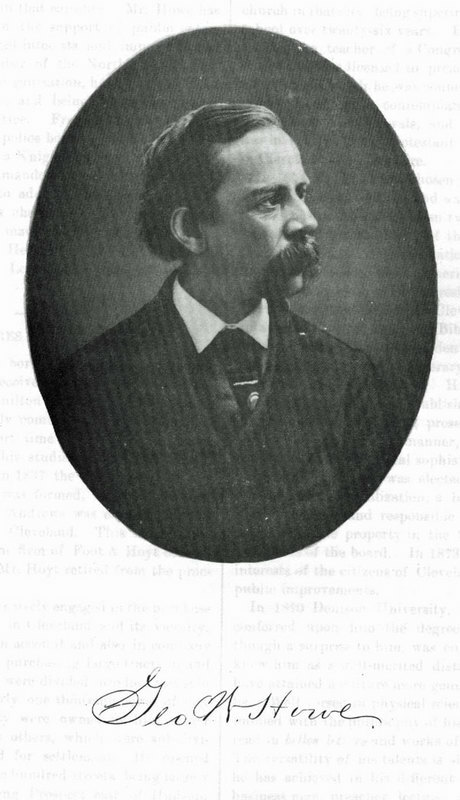 George W. Howe (1832-1901): George Howe, a nephew of Elias Howe, who patented the first sewing machine in America, was a Cleveland business man and later police commissioner. He built the George Howe mansion in 1894. Howe was also one of Cleveland's earliest baseball fans. He championed bringing major league baseball to Cleveland and served as treasurer of Cleveland's first national league baseball team. 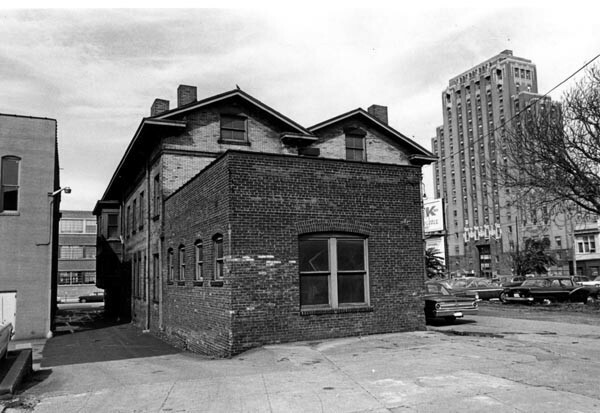 A Backyard View: This view from the rear yard parking lot of the Vixseboxse Gallery in 1965 provides a peak at the buildings on the south and north sides of Euclid Avenue in the 2300 block of Euclid Avenue. 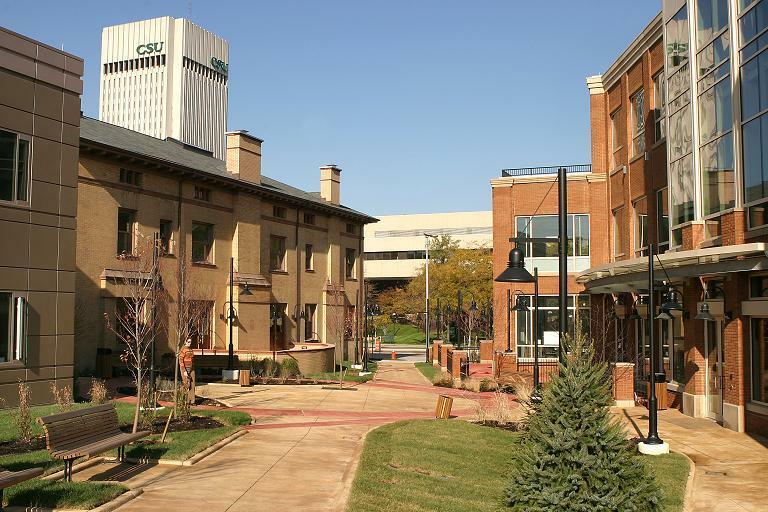 Later, extensive changes were made to this part of Euclid Avenue by Cleveland State University. 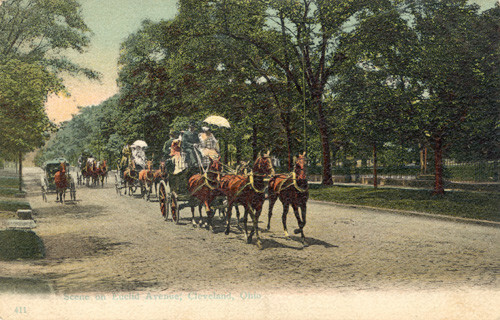 Image courtesy of Cleveland State University Library, Special Collections. Jim Dubelko, “Parker-Hannifin Hall,” Cleveland Historical, accessed April 19, 2019, https://clevelandhistorical.org/items/show/528. Cigliano, Jan. The Showplace of America: Cleveland's Euclid Avenue, 1850-1910. Kent, OH: Kent State University Press, 1991. Published on Jul 29, 2012. Last updated on Feb 28, 2018.